It is used by sticking it inside the iron distribution board of outdoor installation. It can be easily cut with a cutter knife, and its hardness is just right. A smell like a new safety sneaker is a little worrisome, but there is no problem with this usage. Packaging was also polite, so I thought that I would like to purchase again if there are opportunities without deformation or scratches. This review is about item#37117595. I use it as a material of the work. While delivering it spread, I put it between the folded state of the cardboard box and arrived cleanly. The use is now, but the first smell was tight. I did not smell in about a week. This review is about item#37117473. We cut out the dimensions and cut it with a cutter, but it was almost patchy for this application. It seems exactly good both thickness and strength. It was awfully difficult if you could order in 10 cm increments like 110 x 100 with a slightly difficult point that the size was 100 x 100. This review is about item#37117613. There were also several reviews on the packaging method, and although it was improved for a while, this time again it has been packed and rolled up and arrived. I have a habit, and I can not use it immediately, so I am in trouble. Since it is satisfied with the product itself, it is a drastic improvement hope of packing instructions. This review is about item#37117577. I use it as a tool partition. Very useful. 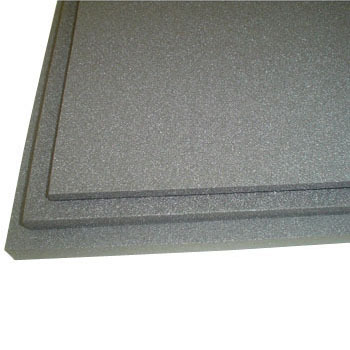 Hardness and processability are just right for the purpose of use for the product itself. However, I think that it is better to consider the packaging method as it is in other reviews. I purchased 5 mm and 10 mm, but 5 mm is not packed without rolling and there is no habit and no problem. 10 mm is packed in a roll and can not be taken out because of warpage. I think thoroughly notifying the packing method should be unified. This review is about item#37117516. Because it's a bit stiff, its intended use is limited. This review is about item#37117491. There was a case that the product packing method was bad in the past review and the crease was not corrected, but it was sent in a flat state and it was being improved. I think that I will buy again if I have a satisfaction and opportunity for both price and handling of goods. Block fence on one side Retention wall opposite block fence Vertical parking lot, if you do not park your bike close enough to the block fence for the convenience of the area, people can not go back and forth, so to prevent bite scratches, thin polyethylene I pasted the sheet with a hot gun and anchor the block. It is handy as it is hard to be affected by light without passing through water. In the previous review, because it was rounded and delivered, it was said that it was habitual and was not used, but this time it has been sent in a flat state, there was no problem. Since the degree of restoration when pressurizing is still low, we expect products with more restoration degree. I want a harder material with more density. Lifetime is small when hook is removed. Please change the delivery method. It gets rounded and does not become usable. It is thin and it is rolling too much. Is it easy to ship and cut sales and so on?